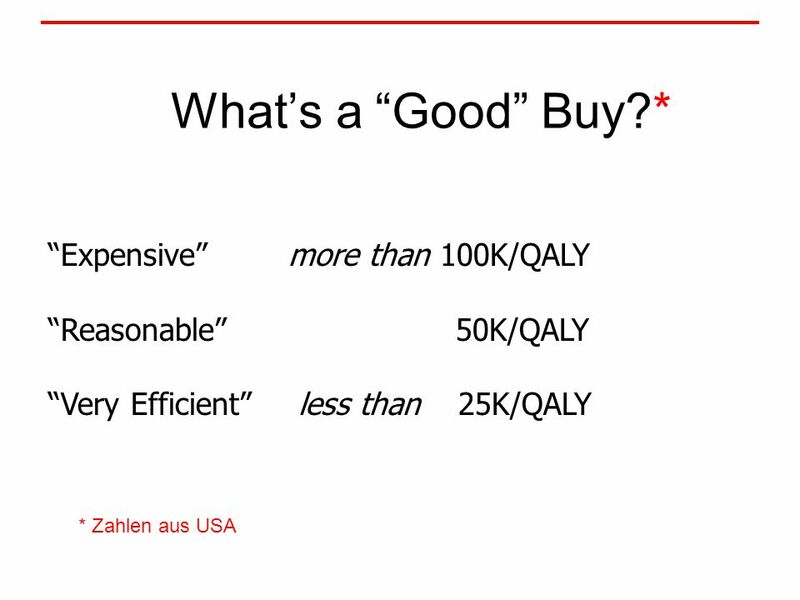 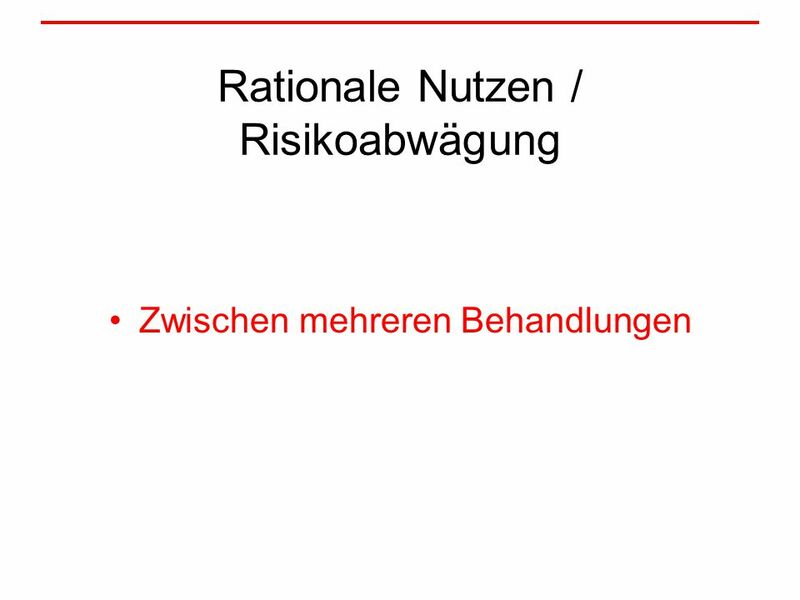 Rationale Nutzen / Risikoabwägung – hilft Decision Analysis? 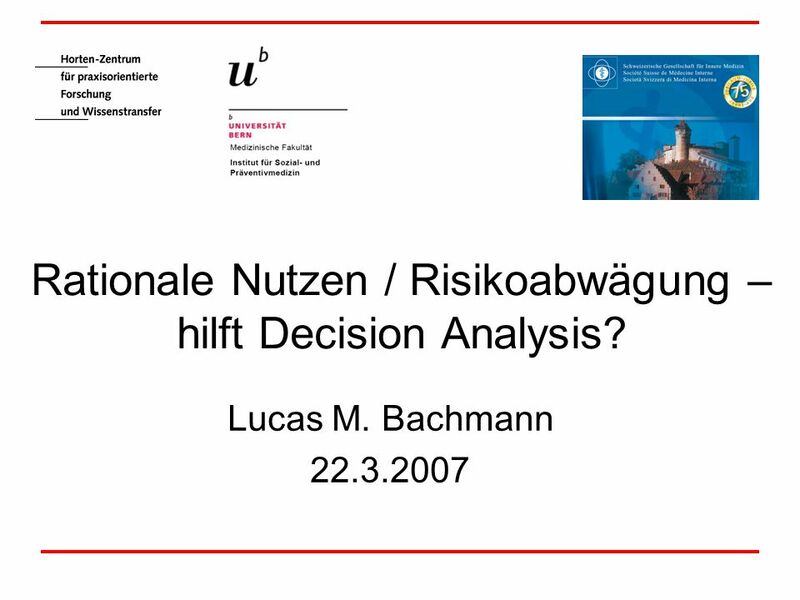 Lucas M. Bachmann 22.3.2007. 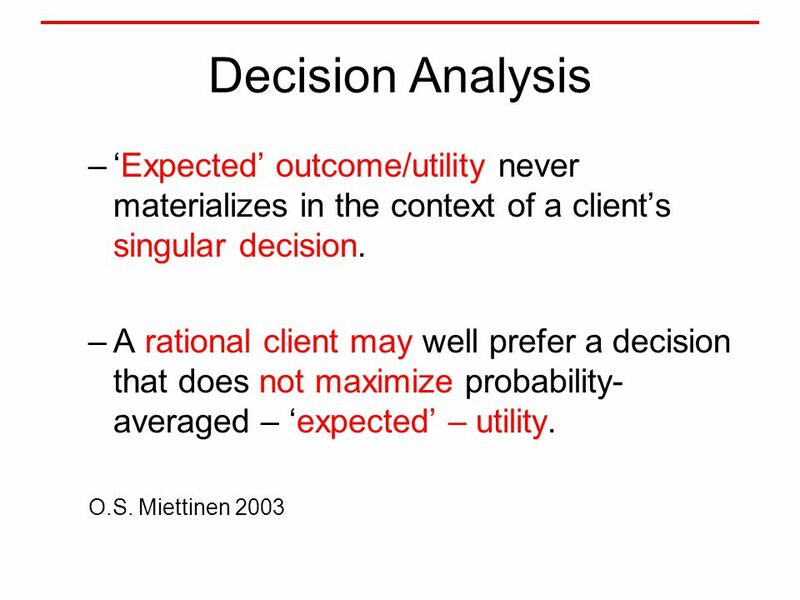 2 “Many clinicians and policymakers view decision analytic modeling as interesting but ultimately esoteric and unhelpful (1). 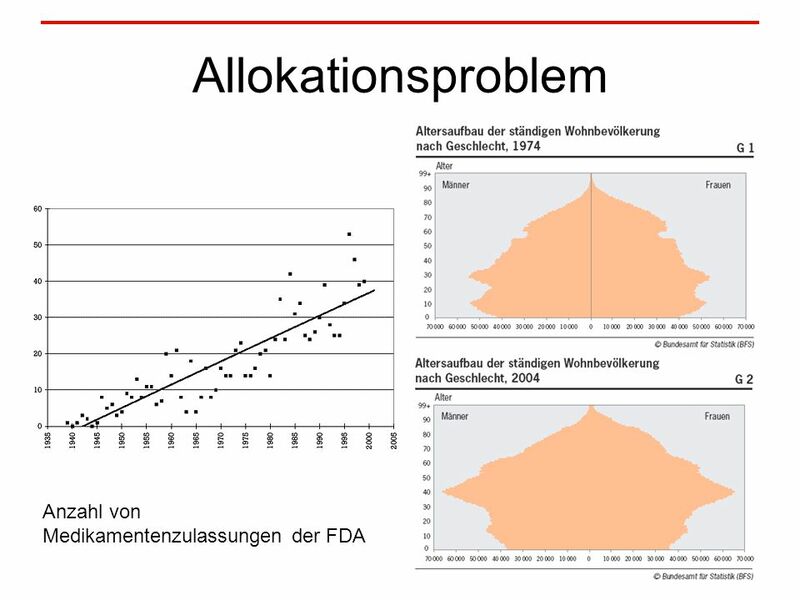 Anecdotally, model users find it difficult to know when they can “trust the model” and often express bewilderment when confronted with data sources from a wide range of study designs, personal opinions, and convergence with the target population.” Ann Intern Med. 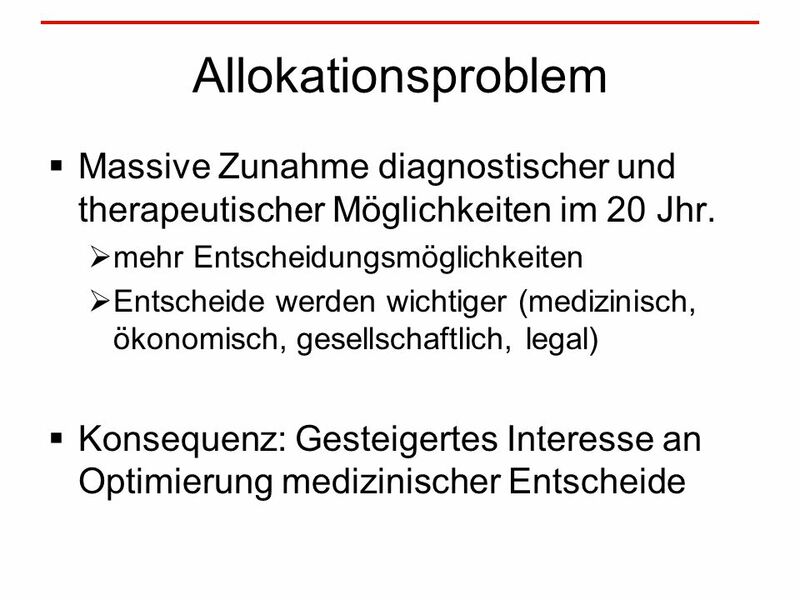 2007;146:133-141. 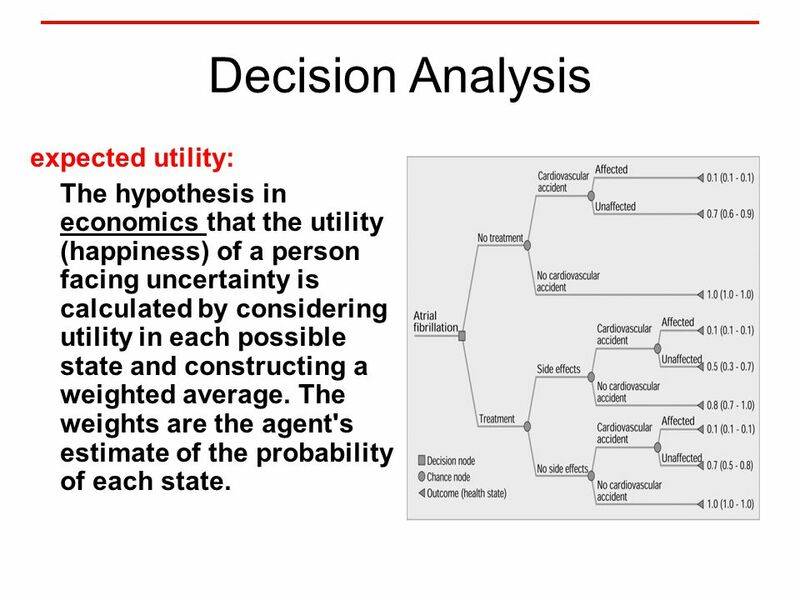 7 Decision Analysis expected utility: The hypothesis in economics that the utility (happiness) of a person facing uncertainty is calculated by considering utility in each possible state and constructing a weighted average. 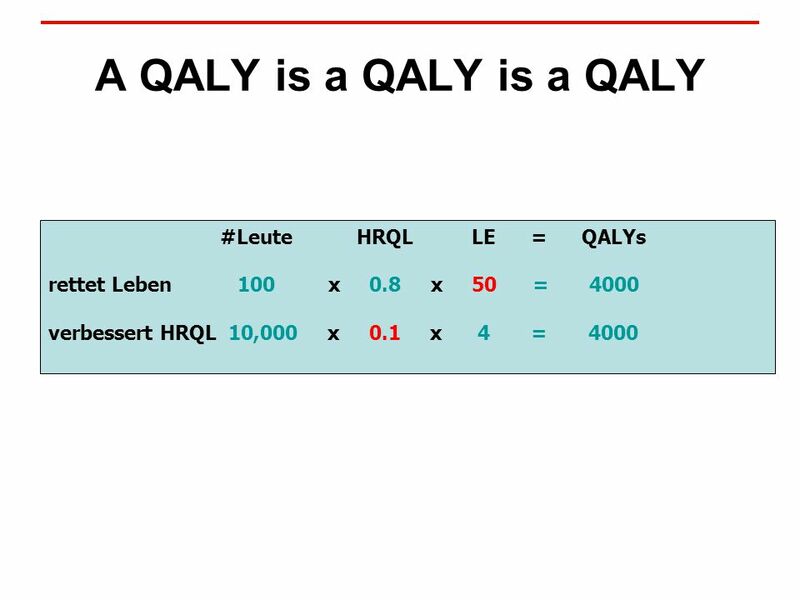 The weights are the agent's estimate of the probability of each state. 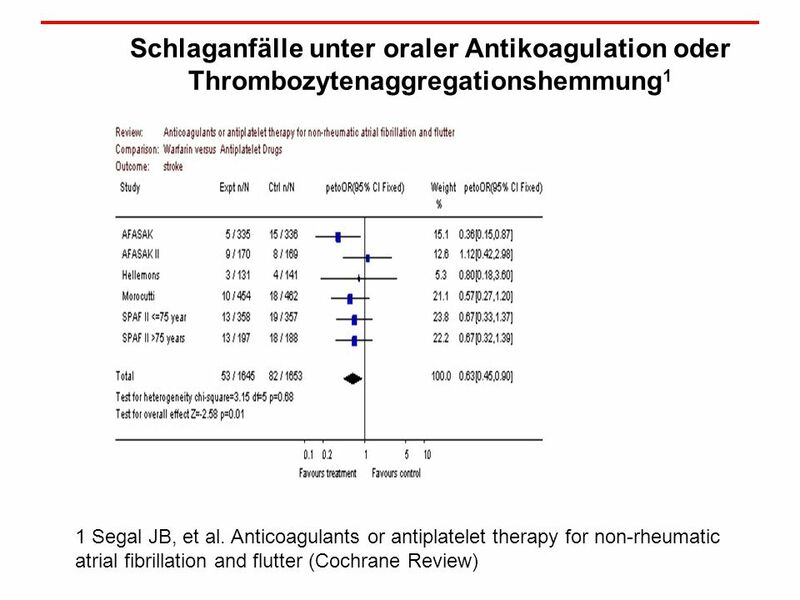 12 AFASAK 1 Studie 5 Einzige Vergleichsstudie mit einem signifikanten positiven Effekt der Antikoagulation. 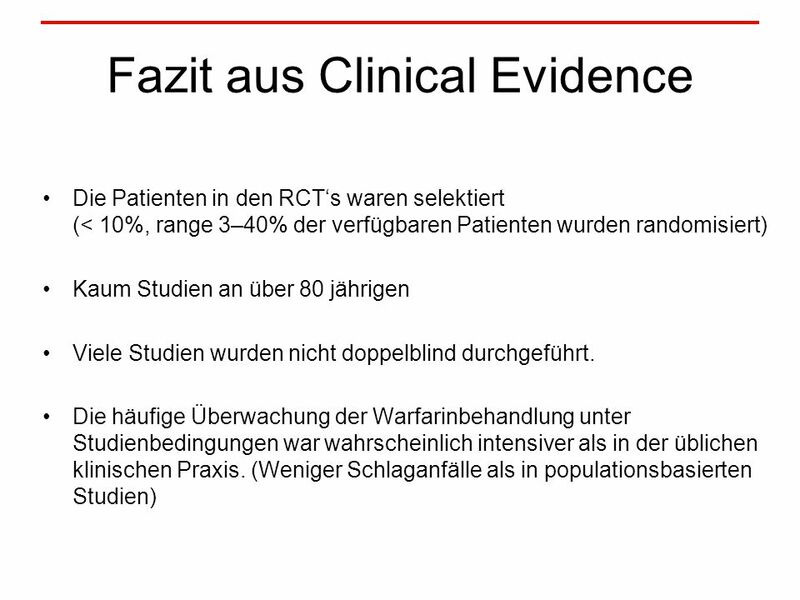 Ausschluss aus der Analyse in der BMJ-Studie wegen methodischen Mängeln. 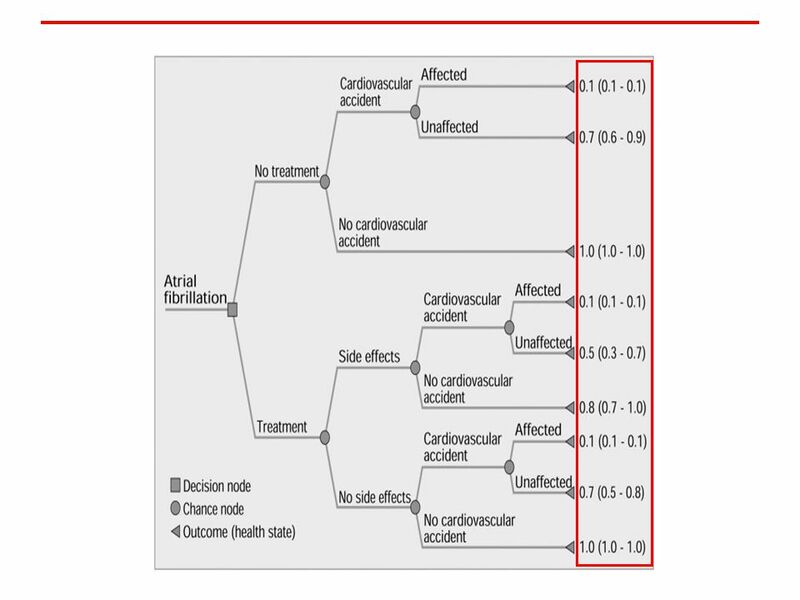 Einschluss im Cochrane Review Petersen P, et al., Placebo-controlled, randomised trial of warfarin and aspirin for prevention of thromboembolic complications in chronic atrial fibrillation. 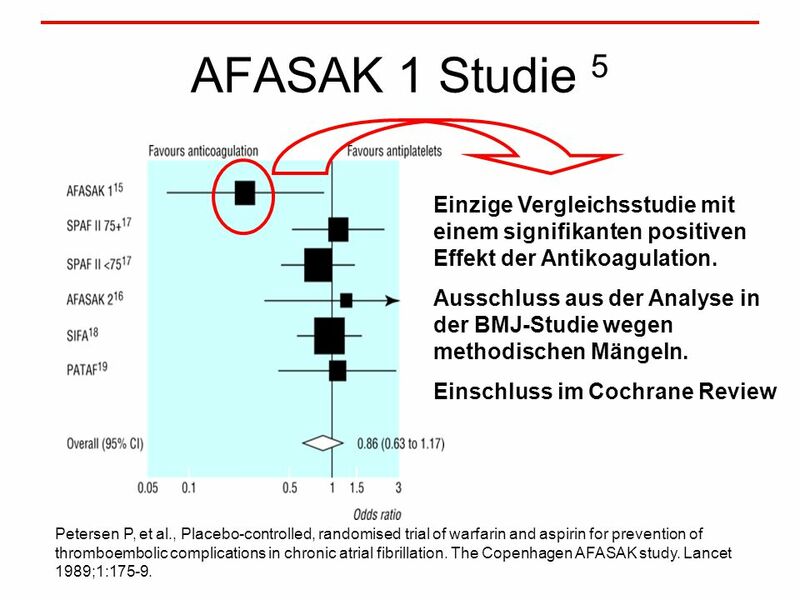 The Copenhagen AFASAK study. 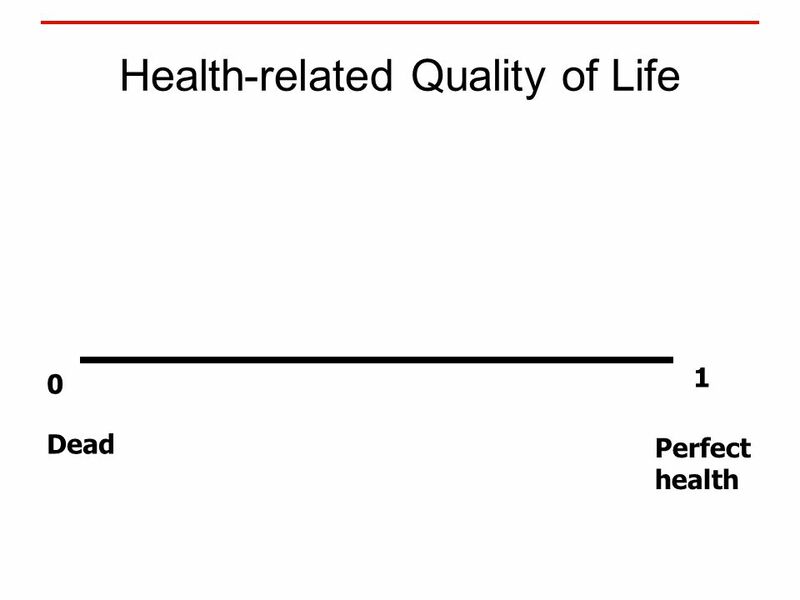 Lancet 1989;1:175-9. 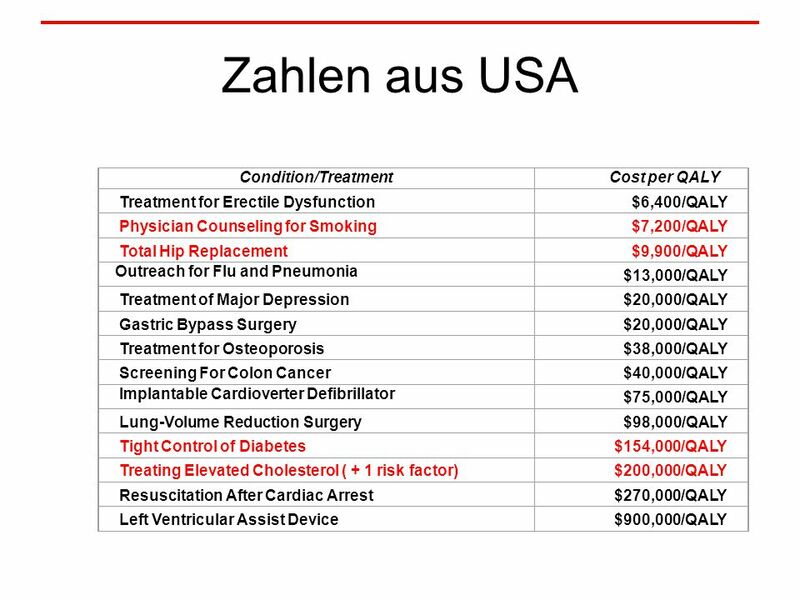 13 Schwere Blutungskomplikation: Wer ist betroffen? 579 Patienten (98.5 % Männer, 65 Jahre) Kumulative Blutungsinzidenz unter oraler Antikoagulation war 7 % pro Jahr. 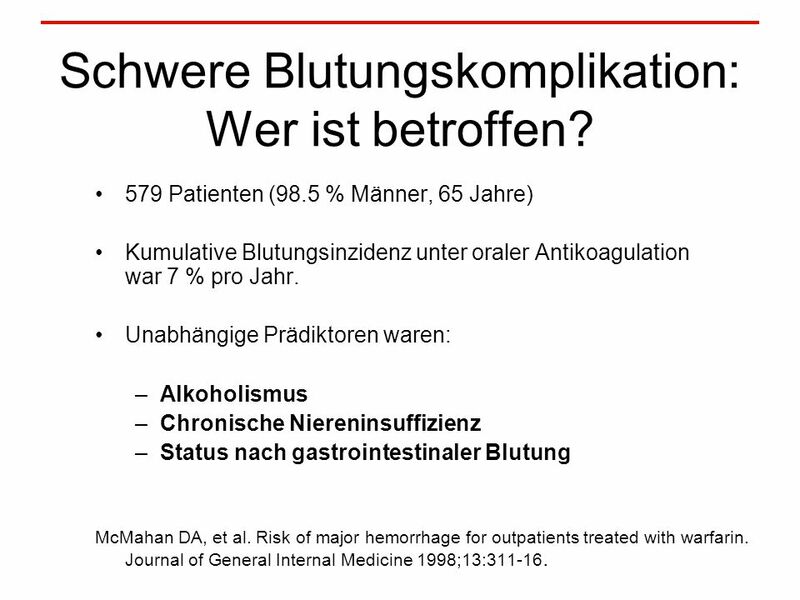 Unabhängige Prädiktoren waren: –Alkoholismus –Chronische Niereninsuffizienz –Status nach gastrointestinaler Blutung McMahan DA, et al. 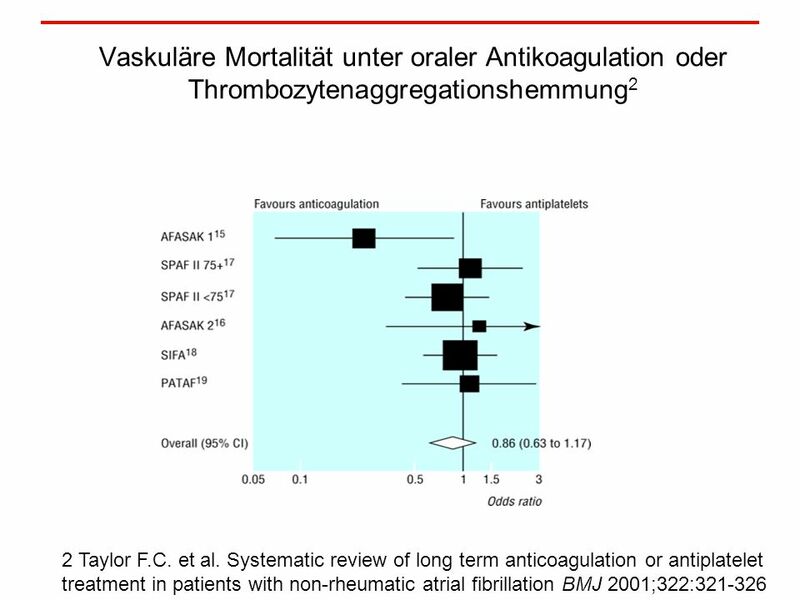 Risk of major hemorrhage for outpatients treated with warfarin. 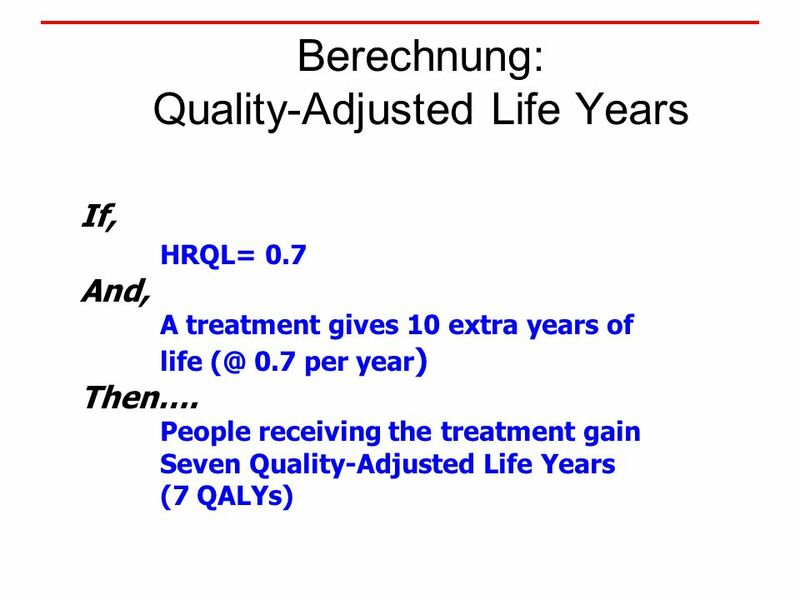 Journal of General Internal Medicine 1998;13:311-16. 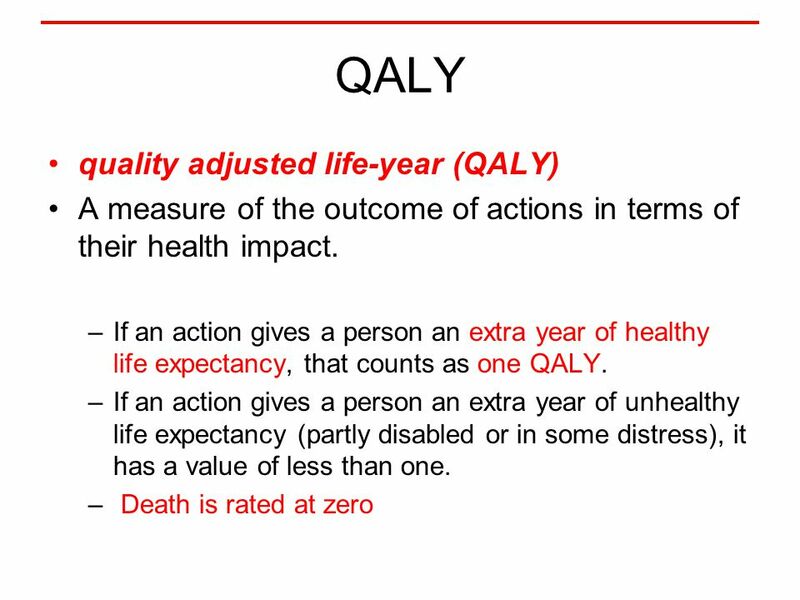 16 “Many clinicians and policymakers view decision analytic modeling as interesting but ultimately esoteric and unhelpful (1). 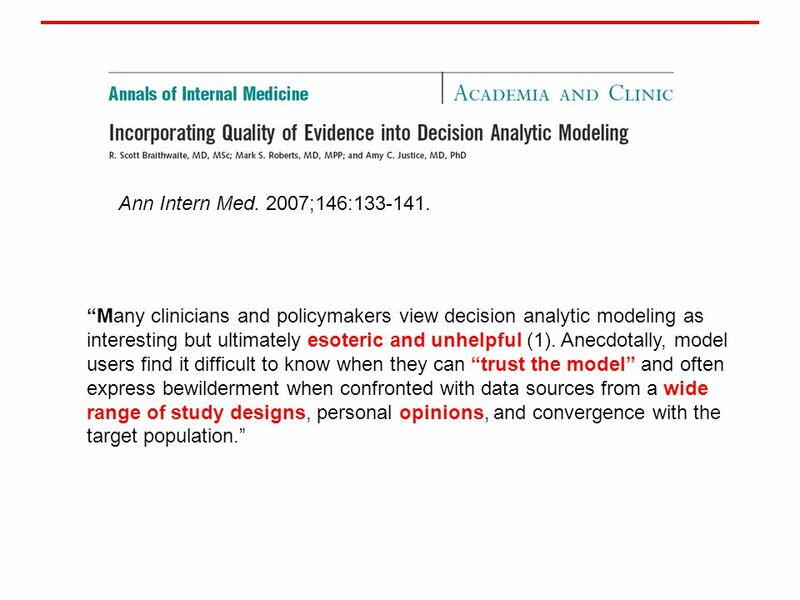 Anecdotally, model users find it difficult to know when they can “trust the model” and often express bewilderment when confronted with data sources from a wide range of study designs, personal opinions, and convergence with the target population.” Ann Intern Med. 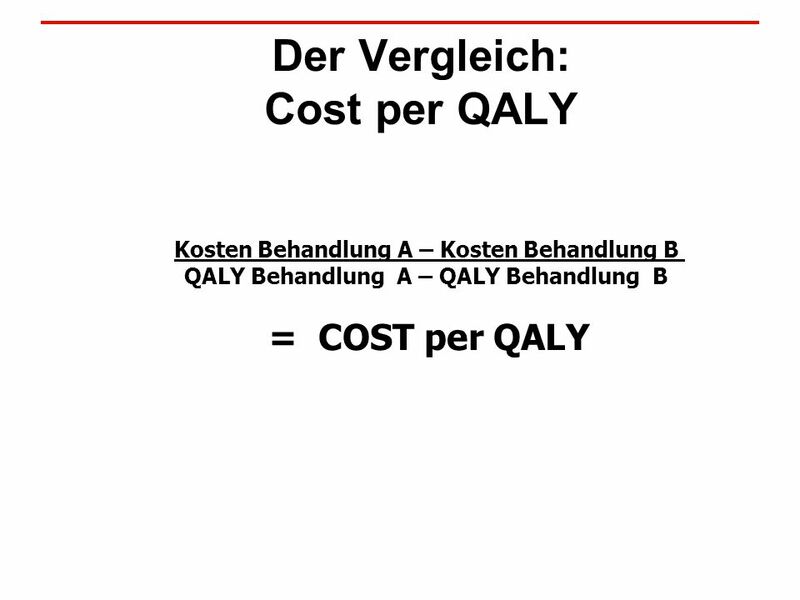 2007;146:133-141. 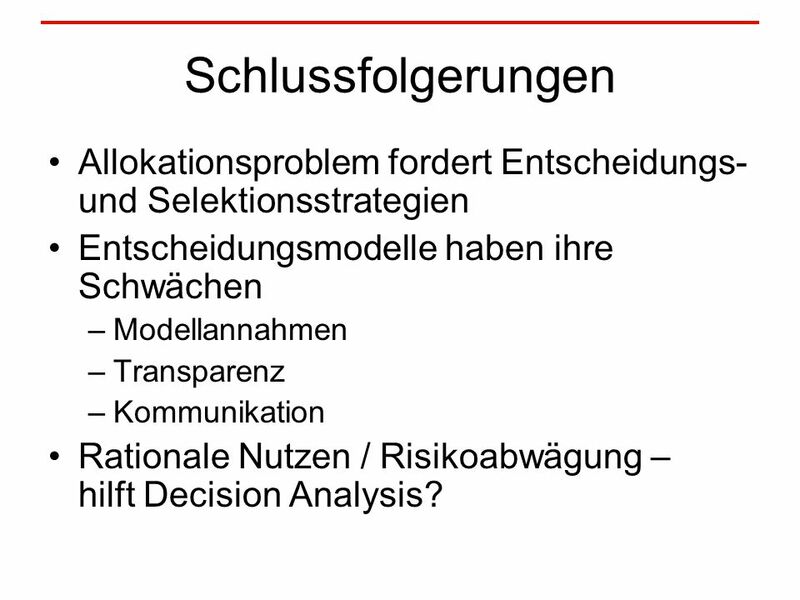 25 Schlussfolgerungen Allokationsproblem fordert Entscheidungs- und Selektionsstrategien Entscheidungsmodelle haben ihre Schwächen –Modellannahmen –Transparenz –Kommunikation Rationale Nutzen / Risikoabwägung – hilft Decision Analysis? 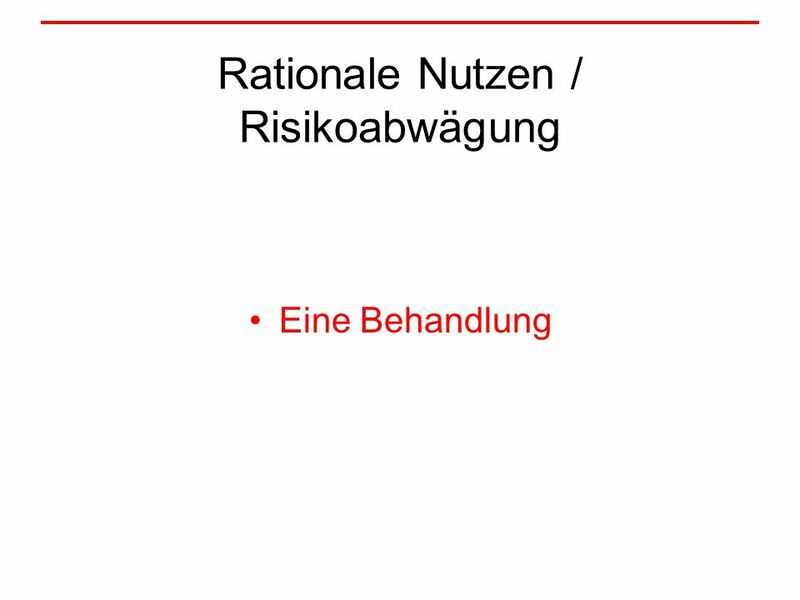 Herunterladen ppt "Rationale Nutzen / Risikoabwägung – hilft Decision Analysis? 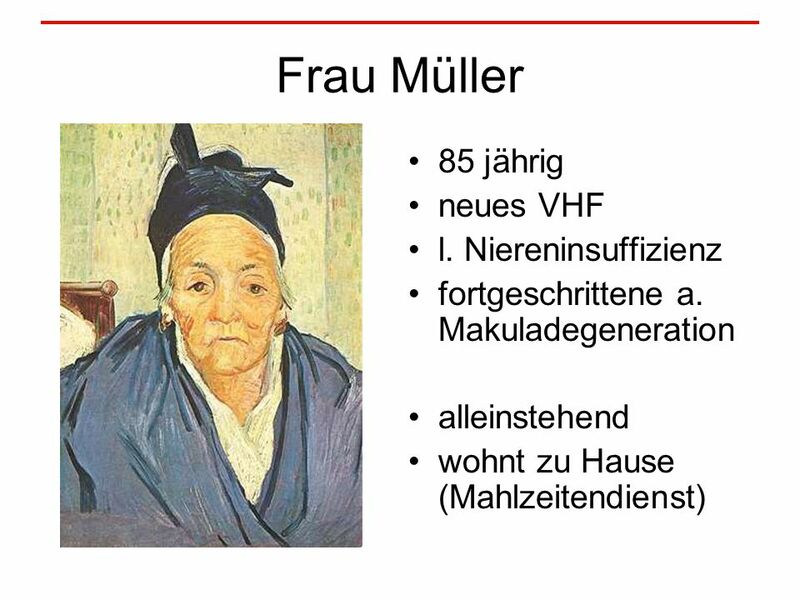 Lucas M. Bachmann 22.3.2007."